A second, well-placed handle puts this 5-gallon bucket in a class by itself. 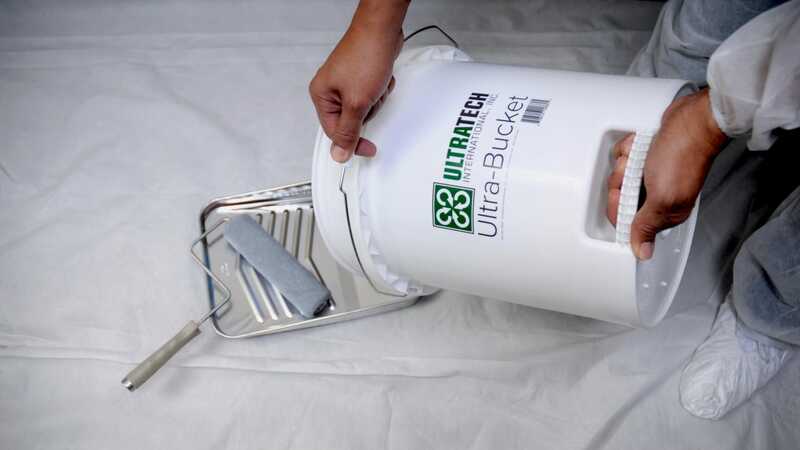 Jacksonville, FL – January 12, 2017 ‐ UltraTech International, Inc., leaders in the environmental compliance industry have recently added the Ultra-Bucket to their innovative product line. The company has taken a very common, everyday item and added a feature that makes it very uncommon. A second handle is integrated into the bottom of the bucket so that turning the bucket over and pouring out the contents is much easier than with the traditional bucket. "The best ideas are often the simplest ones", said company CEO, Mark Shaw. "Our customers are constantly telling us 'What a great idea! Why didn't I think of that?'" UltraTech International, Inc. was formed in 1993 with one goal in mind: to create the world’s finest offering of spill containment and spill response products. Since then, its vision has expanded into additional product categories and the company now features a product line that consists of over 350 unique products. Focusing intensely on meeting customer needs in an innovative and cost‐effective manner, the company has introduced an average of 20 new products per year. UltraTech's design and development team is credited with over 60 patents. They are industry leaders in spill containment, stormwater management, facility protection, construction compliance and oil spill response.